It is with great joy that we welcome yesterday’s news that longtime Puerto Rican freedom fighter and political prisoner Oscar Lopez Rivera, as well as imprisoned whistleblower Chelsea Manning, will soon be freed. President Obama’s announcement of the commutations of their sentences did not come spontaneously or out of his good will, but as a result of decades of organizing and struggle by people demanding and working for the freedom of political prisoners. We continue to raise the names of Dr. Mutulu Shakur, Leonard Peltier, and the many, many morewho have dedicated their lives and remain steadfast for Black liberation, indigenous resistance, and third world struggle and solidarity. 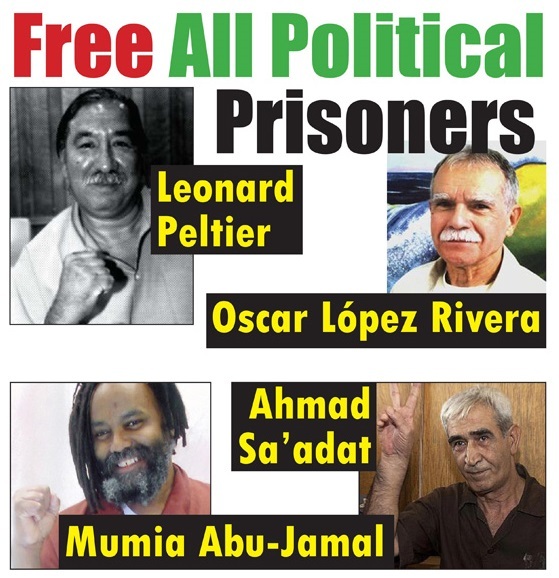 With the Trump regime coming into power just two days from now, these fights will undoubtedly become more difficult, so we strongly encourage everyone to visit the links above and to take action today to support efforts for political prisoners’ freedom. Above all, we are deeply inspired by yesterday’s victories, as they show the power of sustained organizing and resistance. That people’s movements are able to gain freedom for two individuals who were deemed enemies of the state is no small feat, and allows us to see what is possible. The majority of Obama’s commutations have been for those imprisoned for non-violent drug offenses. And while we welcome all imprisoned people coming home, we remain steadfast in our work towards abolitionist reforms that shrink the prison industrial complex and touch the lives of all those imprisoned, regardless of level of charge or classification.